This painting was completed using acrylics on a gallery wrapped canvas. The canvas is 1 1/2″ thick and the edges of the canvas are painted. The canvas measures 24″x30″. 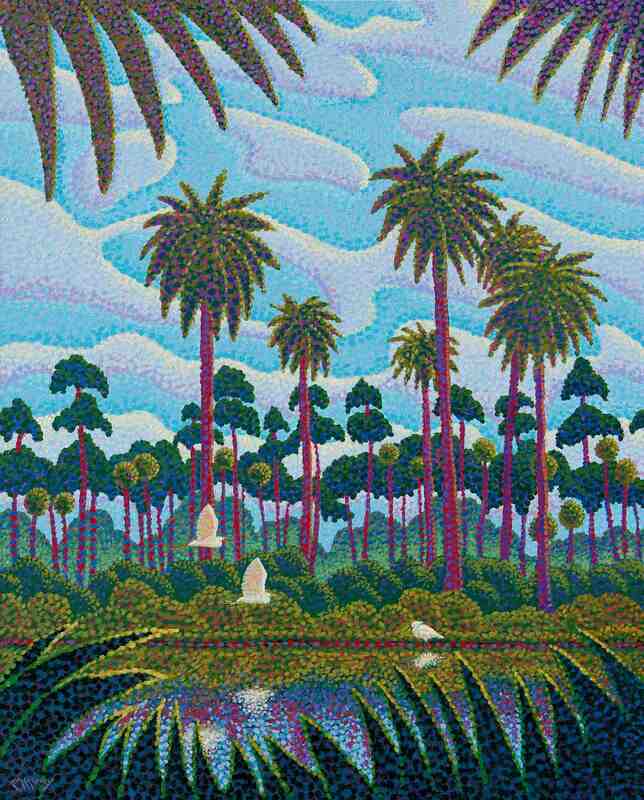 The concept of this painting is based on my numerous trips into the jungle back country of Florida where swamps, hammocks, and jungle forests are the rule, along with all the wild critters you could possibly dream of flourish. Here three egrets rendezvous in a swamp to forage for watery critters. It is completed using my classic stylized Pointillism painting style, The painting is being sold unframed. Shipping is free in US.